The holiday season is soon approaching and we all know that one of the greatest ways to get in the holiday spirit is by attending the iconic Jingle Ball tour! Throughout the years, the Jingle Ball tour has brought together some of the greatest musicians all under one roof for an unforgettable, concert event. It goes without saying that tickets to Jingle Ball always happens to be at the top of everyone’s wish-list. Well, it’s time to get super excited as iHeartMedia recently announced the return of the “iHeartRadio Jingle Ball Tour Presented by Capital One” and tickets go on sale to the public tomorrow, October 15, 2018. This year’s phenomenal concert experience will take place in cities across the nation including in Dallas, Los Angeles, San Francisco, Minneapolis, Boston, Philadelphia, New York, Washington D.C., Chicago, Atlanta, Tampa and Miami / Ft. Lauderdale. This year promises a whole lot of epic and stupendous performances from extraordinary musicians including Shawn Mendes, Cardi B, Alessia Cara, Bebe Rexha, Camila Cabello, Calvin Harris, 5 Seconds of Summer and many, many more. 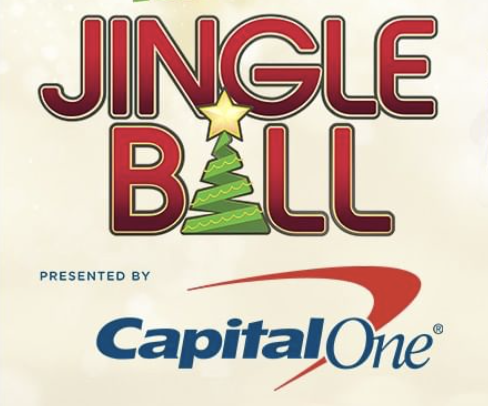 Capital One will also be the national presenting partner for the iHeartRadio Jingle Ball Tour and will offer a countless amount of great opportunities for Capital One cardholders who are interested in attending the remarkable event. A special pre-sale for Capital One cardholders took place on October 10th through October 13th. The iHeartRadio Jingle Ball tour is bound to be incredible and you’re definitely not going to want to miss any minute of it! Tickets go on sale tomorrow, so be sure to grab them at www.iHeartRadio.com/JingleBall. Check out the list of Jingle Ball tour dates and line-ups for each city courtesy of Billboard below. Comment below and tell me or tweet me at @alexisjoyvipacc, what Jingle Ball tour stop will you be going to? Previous VIPAccessEXCLUSIVE: Taylor Lautner, Chuck Liddell, Lance Bass And Many More Had A Spook-tacular Time At The Opening Celebration Of Nights Of The Jack – RECAP Here! Next Article: The Multi-talented Hailee Steinfeld Is Set To Host MTV’s EMAs On November 4th PLUS See The Full List Of Nominees Here!